Blue Square Consultants has been appointed as the representative for Azerbaijan Tourism Board (ATB) in India. It will be responsible to build and develop strong relations with key tourism and hospitality entities and trade partners to grow and strengthen the tourism potential of the destination in the Indian market. Confirming the appointment, Sevinj Zeynalli, International Market Management Director, Azerbaijan Tourism Board, said, “India being an important outbound market, we’re pleased to partner with a highly reputed organisation like Blue Square Consultants that has a strong foothold across different cities in India. Owing to their successful track record, we are confident that their expertise will help us gain greater visibility and we look forward to welcoming more Indians on their holiday to Azerbaijan”. 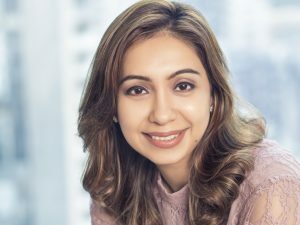 Lubaina Sheerazi, COO, Blue Square Consultants, stated, “We are delighted to represent the magnificent country of Azerbaijan and drive it as a preferred leisure destination for Indian travellers. The strategy is to tap into the growing outbound market and change perceptions to showcase the tourism prospects of Azerbaijan. 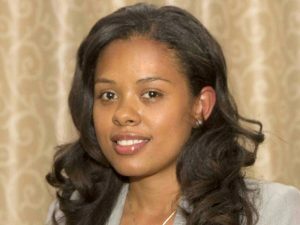 We have the requisite knowledge and an excellent track record in managing various tourism boards and the recent appointment is a reaffirmation of our proficiency in the travel sector”. The Ministry of Tourism, Oman successfully conducted the first leg of its multi-city roadshow in Delhi at The Taj Mahal Hotel. 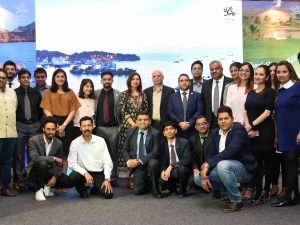 Her Excellency Maitha Saif Al Mahrouqim, Undersecretary, Ministry of Tourism, Oman; Sunil VA, Regional Vice President, ISC, Oman Air and Lubaina Sheerazi, India Representative – Ministry of Tourism, Oman along with other representatives were present at the roadshow. On the occasion, Mahrouqi said that Oman has witnessed over 31 per cent growth in Indian arrivals since 2014. “In 2017 alone, Oman received 321,161 Indian visitors with a growth of over 7 per cent in just one year. In the first six months of 2018, the country witnessed 15 per cent growth in comparison to the same period last year. 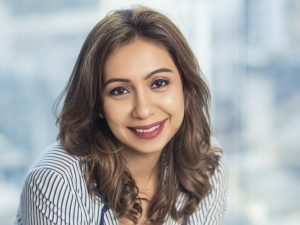 Oman is a ideal for every kind of traveller but we are looking to focus immensely on MiCE opportunities from India.” Furthermore, to encourage more travellers to visit the country, Oman has recently announced a new short-term tourist visa at 5 Omani Riyal (OMR) equivalent to approximately Rs 940 to visit the Sultanate for a period of 10 days. This is in addition to the existing e-visa for Oman which is available at 20 OMR with a validity of one month. Seychelles continues to ride the wave of growth with increasing number of Indian tourists each year. 2017 marked India’s placement as the top seventh source market for the destination with over 13500 visitors from India. The numbers are only increasing with over 8000 passengers having travelled in the first half of 2018, even before the peak honeymoon season of October-December. The destination now sees a growth in family and celebrations segment as well with a steady rise of 13.3% in Indian tourist arrivals from January to July 2018 vis-a-vis the same time period in 2017. This increase can be attributed to the India tourist office’s committed focus on promotion of the destination, interest and efforts from the hotels and DMCs to capture the Indian market, increased customer awareness due to innovative digital presence along with direct flights from Mumbai five times a week. 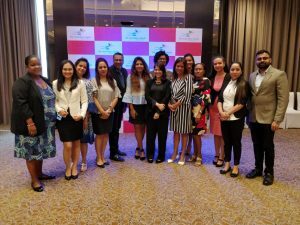 Commenting on this accomplishment, Sherin Francis, CEO, Seychelles Tourism Board said, “We have always adopted innovative strategies and marketing collaborations to present Seychelles as the ideal luxury holiday destination in India. The growth would not have been possible without the constant support of Air Seychelles, the DMCs and the hotels who walk with us hand in hand in going the extra mile to ensure year on year success.” Lubaina Sheerazi, COO, Blue Square Consultants which is the India office for the Seychelles Tourism Board accounted this increase to focused efforts into innovative marketing campaigns and precise targeting of the destination to the Indian audience. The Ministry of Tourism, Oman has launched a new promotional website ‘www.experienceoman.om’ that will serve as a one-stop-shop for all Oman Tourism related information. The website was launched under the patronage of His Highness Sayyid Haitham bin Tariq Al Said, Minister of Heritage and Culture during a gala dinner recently hosted in Muscat on the sidelines of the 2nd UNWTO/UNESCO World Conference on Tourism and Culture. 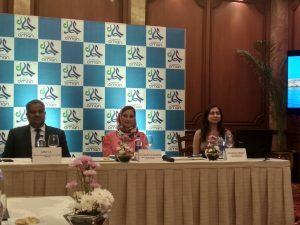 Lubaina Sheerazi, India Representative, Ministry of Tourism, Oman said, “The launch of the website comes as a part of the Ministry’s initiatives to support the development of the tourism sector in all areas, especially in the use of electronic platforms and digital marketing. 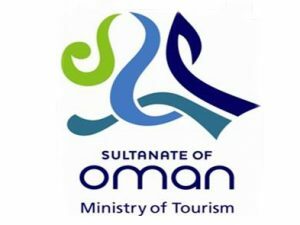 Providing insights into suggested travel itineraries; list of tour operators, hotels, and services; MICE opportunities; the website also orients tourists with the latest events in Oman and can be viewed in six languages.” The Ministry aims to enhance the Sultanate’s presence in the digital world by shedding light on the most popular landmarks, creating a platform to interact with visitors and responding to their enquiries through the website. The ‘www.experienceoman.om’ will complement the existing Oman Tourism website to provide diverse information about the latter.